Seems to be getting great reviews & the vids on U-tube are pretty cool too. LOVE the "Trail Leader/support vehicle" one with the diesel, aftermarket utility bed, 1" body lift, & 33" tires ! Hope they still make this when out Yoda is paid off. Love the utility bed, well thought out. 2015 Bright White Powerwagon Laramie, Aluminess Sliders, RED light bar w 4 Arb Intensity clones and spod touchscreen, Thuren coils and rear track bar, King steering stab. GM seems to be coming straight for the Toyota Tacoma with this truck. If an aftermarket takes off around it, this could be the next big platform for overlanders. The Taco doesn't have a front locker or factory sliders. In all honesty, I think that the Manufacturers FINALLY did something that makes sense and also good business sense, which is rare these days. Instead of trying to compete directly with each other (which means both sell less), they each took a different niche, so they would be the only one in it, & therefore sell more of them. Raptor is the go-fast truck. Power Wagon is the go-most-anywhere, haul most things, tow most things real work truck. ZR2 is the mid sized, go anywhere, haul a little truck. Because Toyota waited so long to do something, it looks like they will have to compete directly with the ZR2 & take the look-look-me-too approach. I have the crawl control on our new Toyota. It is cool & it does work, to a degree. And those who do not possess off-road driving skills will think it is the best thing ever. But it is no substitute for a front locker---period. So, today we took an hour trip for breakfast. Went to http://www.unclejoesdiner.com/. On the way back, we hit the new car dealers strip. Stopped in the Chebby dealer. Sad, is about all i can say. Was hoping maybe they had a ZR2 we could look at, because they were a GINORMOUS dealer. I asked for their best truck salesman. I waited 15 minutes, He finally comes over, we greet. I asked him if they had any ZR2's. He said "Oh yeah, we have all kinds of Colorado's." I was losing faith in him fast at that point. I said, that's not what I asked. Do you have any ZR2's. Then he said "I have no idea, let me look them up." He said "we have LOTS of Z71's." No, ZR2 is what i am looking for. Then he says, "there is 2 in Erie PA & 1 in Syracuse NY." I said "AWESOME, cause we are retired & have nothing better to do. Can you write down their addresses & phone #'s please ?" He says, NO, that's NOT how this works. We can have it shipped here." I told him we were just looking. He would NOT give me the names of the dealers or the phone #'s, & said it would not be shipped here because you are just looking. So, I smiled my best fake smile, laughed & said THAT is part of the problem with American car dealers. I swear to GOD you really don't want to sell vehicles, with stupid rules like that. Why do you think the Japanese are selling so many trucks ? Because you treat customers like dirt. Erie PA is 2 hrs away & so is Syracuse. I can be there & back by dinner. He said sorry. I said to tell the owner at your next sales meeting, that one of your potential customers said he will never buy here because of that stupid rule. Then I just walked out. I used the inventory search on the Chevrolet website. Dave Hallman Chevrolet in Erie has one ZR2. East Syracuse Chevrolet has three. And Sun Chevrolet Inc. ( in Chittenago)) has one). If we didn't have two kids and an Airstream to tow, I would seriously consider building an expo rig out of one of these. I'ts a cheby. Of course it will have the aftermarket behind it!. Buy the gasser and do a LS twin turbo swap. $45,000?!?! That's almost $6000 more than what I paid for my brand new PW! . Honestly, like others have said, it seems each of the big three are making their mark in the on the off road truck market: the PW being an HD truck, Raptor-1/2 ton, and the ZR2- midsize. For whatever reason, they don't seem to want to compete directly in that market. Economically, GM capitalized on a market that was untapped by American truck makers. I know the Jeep pickup will be out soon but its still 2 years way. 2015 Ram 2500 Blue Streak Pearl: Tradesman w/ 6.4L Hemi, Rambox, electronic transfer case, 3.73s, LSD, BLD, Chrome appearance package, tailgate extender. 3 things I think about this truck. The front diff. Will it be the egg shell case that is on the 1/2t and 3/4t? And with independent front suspension. Will it be able to keep all 4 tires on the ground when crawling? Is it going to be a factory mall crawler? Calvinm119 wrote: $45,000?!?! That's almost $6000 more than what I paid for my brand new PW! . To be fair to the competitions, if they built them, that GMC All Terrain concept or a new F250 Highboy with front/rear lockers would have made me think hard about which truck I would purchase. But for now, I'll stick with the PW. I joke Tacoma owners on that price point all the time. You paid fullsize prices for a mid size. The days of a cheap smaller truck like the Ranger and S10 seem long gone and dead. My beef with Ram is no one has any idea WTF a Power Wagon is. Even with the new truck, people still are completely clueless about what it is, and what it's capabilities are. Ram REALLY understates this vehicle in marketing. 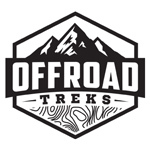 Most people know that a Ford Raptor equals offroad. Just like people tend to associate the Jeep with "offroad". I'd love to see Ram market the PW more. But I think they are actually afraid to chew into Rebel sales. Which is kind of a shame, because the rebel looks more capable than it actually is. But god forbid they give the Power Wagon a high clearance bumper. Even the fact that they used cues from the Rebel's design on the 2017 is a good indicator the PW was an after thought. I do have a source though, that said Mopar is working on producing sliders again like they used to for the 3rd gen. 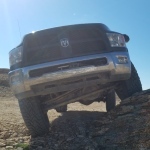 Which could mean that moving forward, the Power Wagon might start getting love from Ram again. Especially if the 17's are selling well. All of that said, I think a rear locker on the Rebel might be a good idea for Ram. One thing I know though, if you want a HD truck that can conquer the most terrain, it's the PW. The Raptor is reduced payload, reduced towing and marginal fuel economy. So the only thing it does well is go down washboard sand roads at 80mph and look good for instagram photos. The Power Wagon is more versatile from a functionality standpoint. I would just like to see the PW get a facelift with the same level of thought that was put into the Rebel. 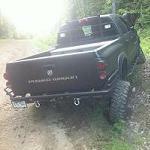 RustyPW wrote: 3 things I think about this truck. The front diff. Will it be the egg shell case that is on the 1/2t and 3/4t? And with independent front suspension. Will it be able to keep all 4 tires on the ground when crawling? Is it going to be a factory mall crawler? IFS has strengths and weakness. (more weaknesses offroad though) I think the fact that it did the Rubican means it's at least halfway decent at keeping traction. But the numbers I saw recently are disappointing. The diesel can't beat the Tacoma for MPG or towing. WTF GM, total fail. If the Mopar sliders are anything like the 3G sliders, I would still have an opening in the market. A tube and chincy brackets can be made by anyone. The 3G rock rails are well thought out, and beefy. Where they missed the mark, is there is no nerf bars on them. I had to make my own for them. I was the first one to do that. Yes, yes you were. I still think Ram should make a tv commercial with no words, just text. Show the Ford, Chevy, GMC, Nissan & Toyota full sized on a roller wheel incline, with 3 tires on the rollers. First in 2wd, then in 4wd and still hopelessly spinning 3 wheels or less. Then show the Power Wagon in 2wd, then 4wd, then both lockers locked & watch it drive forward, off the rollers. At the end of the commercial, just put on the screen "Enough Said !!!" Sometimes commercials with no words say plenty and are funny to boot ! GM's sliders are attached to the frame! No, they are not. Either a misprint or lack of the way it really is. They are bolted to the body, which you can clearly see here at the 2:06 mark. And again here, the GM engineer/rep/designer talks about them at 6:28. TwinStick wrote: No, they are not. Either a misprint or lack of the way it really is. They are bolted to the body, which you can clearly see here at the 2:06 mark. Agree. They bolt to the cab like Aluminess. I feel better about the ZR2's rock rails after watching the 2nd video I just posted. Even the GM engineer was skeptical, so the other engineers told him to take one out & put it on the rocks for a day & if it bends, they will go with frame mounted rock rails. He said they didn't bend. But I have watched a LOT of the ZR2 videos & there was 1 where I swear the rail was pushed up into the body. I just can't find it right now, thanks to some Jameson Caskmates. Surprised that I am still able to type ! The pricing and fuel mileage on this tuck don't make a whole lot of sense compared to a PW - at least to me. 19/22 epa rating for the diesel? I was excited when I heard about this truck and thought to myself man I wish I could have cross shopped this when I bought my PW but my tradesman PW costs less, gets OK highway MPG (until the 37s go on) and is way more comfortable (and likely more capable). But this can fit on smaller trails. Only just.